Even in small and mid-sized cities, it is not uncommon for financial subsidies for arts venues to exceed $1 to $2 million. When the economic climate was healthy this was not seen as a significant problem, as the cost of supporting the arts is easily justified as a tool for developing strong communities, enhancing the quality of life and stimulating economic development. However, with public funding growing tighter, subsidies for the arts must now have a realistic connection to specific public benefits. Perhaps more importantly, the subsidies must fit within the total financial picture of each city’s available funding. As arts leaders, if we don’t work to make this happen, we risk “losing it all”, as we are now seeing some cities literally closing arts venues, rather than just cutting costs. While “creative expression” and “event excitement” are important components of a Theatre operation, VenueTech Management Group recognizes the need to express these elements within the context of fiscal responsibility. It is through this management philosophy that VenueTech’s approach enables our client’s venues to flourish in the same manner that any successful business grows and develops. Our approach is to operate the Theatre through a business plan based on a careful balance between the creative and community service goals of the community with the realistic financial expectations established by our client. In contrast to the high financial subsidies required at many Performing Arts Theatres, the unique VenueTech approach has resulted in consistently lower general fund requirements. 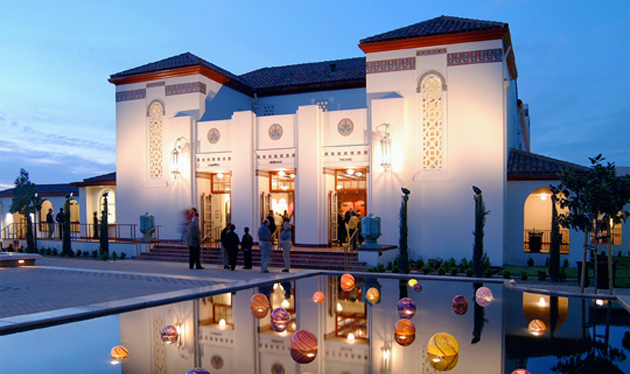 The Heritage Theatre, an 800-seat venue in Campbell, California, managed under a City contract by VenueTech, operated with a financial subsidy of approximately $100,000 in FY 2011-12. In addition, the Theatre generated in excess of $50,000 in revenues, which were dedicated to a restricted maintenance and preservation fund. This was possible while hosting over 140 events including 7 headliner concerts, which were produced in-house. Other Performing Arts Theatres managed by VenueTech have seen annual financial subsidies fall to all time lows in the range of $250,000 to $450,000. Manage expectations. It is not realistic that an 800-seat Theatre will feature the Rolling Stones to headline next season. It is also not realistic, in today’s economic climate, that local nonprofit groups can use your Theatre for free. You MUST have open, honest conversations with folks about what are realistic creative and financial visions for your performing arts venue. Manage your Theatre through a comprehensive Business Plan. Avoid the trap of expanding full time staff. Most performing arts venues can no longer afford large teams of full time employees. Job sharing, seasonal employees, volunteers and contracted services, all must be part of the solution. Clearly the operating model for a successful theatre has changed. In-house programming should be used to create “sizzle” while the community event rental program should be used to create a diverse base of programming. As the economy weakens, it is usually wise to slightly reduce the number of in-house headliner productions. Offer extremely high quality event support services and equipment for market rates. Always support the needs of the client, however ask the client to make the choice between the financial cost and creative indulgence. This allows you to offer “basic” services at lower costs and charge a reasonable fee for upgraded services and equipment. Use a variable rate price structure. A Saturday night in April is worth more to a rental client than a Wednesday night in August. The Theatre business is about relationships. Teach your employees that they are in the “Friendraising” business. Teach your staff that they are not selling the Theatre; they are “selling the calendar”. Once a calendar date has passed, it can never be sold again. Don’t put management systems in place and assume success will automatically follow. That’s called “managing by luck”. To achieve financial and creative success you must aggressively manage day-to-day operations. Use the Box Office as the “nerve center” of the Theatre – hire and train “sales people” not “clerks”. Train your employees in customer service and teach them that kindness is the currency that purchases repeat business. Build a “sense of ownership” among your employees and volunteers. Those who are involved in creating your vision are more likely to be invested in achieving success. Creativity must be managed. Don’t allow creativity to stop progress on current work. For a creative organization, new ideas never stop coming. The newest idea often causes the delay of the successful completion of the last great idea. Find a way to keep track of all the great new ideas, while holding them off until the proper amount of work time and financial resources are available to do them justice. This entry was posted in Theatre Management. Bookmark the permalink.